Fall is finally upon us which usually means three things that we love: food, family, and holiday festivities. And while we all enjoy receiving presents during this time of year, the greatest gift of all is definitely helping others. After all, November is Gratitude Month! So to show our gratitude this holiday season, the Fresh Start Company is doing our part to give back to the community by teaming up with LA Food Bank to fight hunger. The campaign is called Be The Fresh Start and here is how it works: during the holiday months of November and December, for every job completed by one of our local franchise branches, 911 Restoration headquarters will donate 4 meals to charity to help those in need. 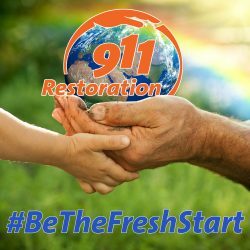 To help promote the campaign and spread the word, 911 Restoration franchise owners, their staff, and their technicians will take photos with satisfied customers featuring our “Be The Fresh Start” yard signs. The photos will be posted on our social media platforms, and customers are encouraged to share on their own social media profiles as well using the hashtag #BeTheFreshStart. 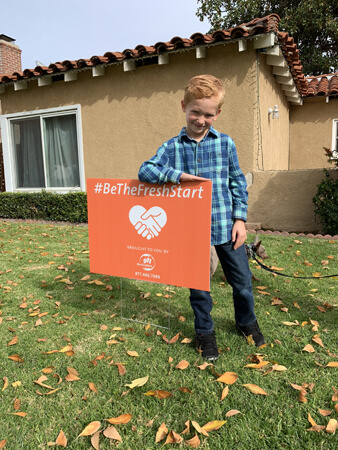 Additionally, for anyone who spots a #BeTheFreshStart sign in their local community and shares it on social media, 911 Restoration HQ will also donate 4 meals to LA Food Bank. UPDATE: The #BeTheFreshStart campaign was a huge success with some 24,000 meals donated to LA Food Bank thus far and over $6,000 raised in the process. Nothing feels better than giving back to those in need and we want to thank everyone at 911 Restoration HQ as well as all of our franchise owners for your contributions toward these efforts to help others. 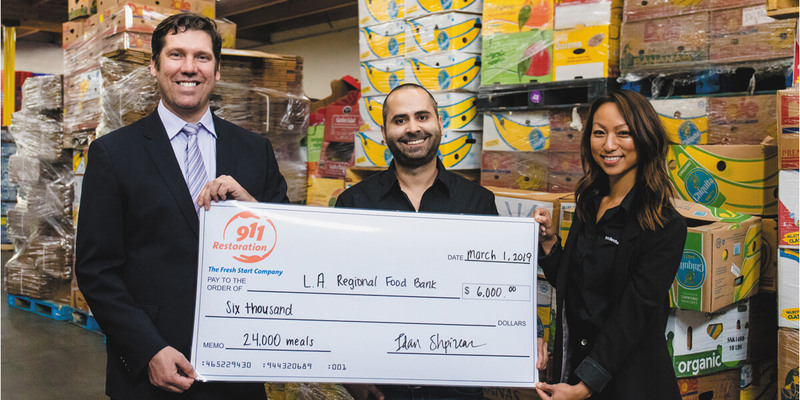 Our team was lucky enough to visit the LA Regional Food Bank this month to tour their facility, present them with a check, and learn more about the fight to end hunger.